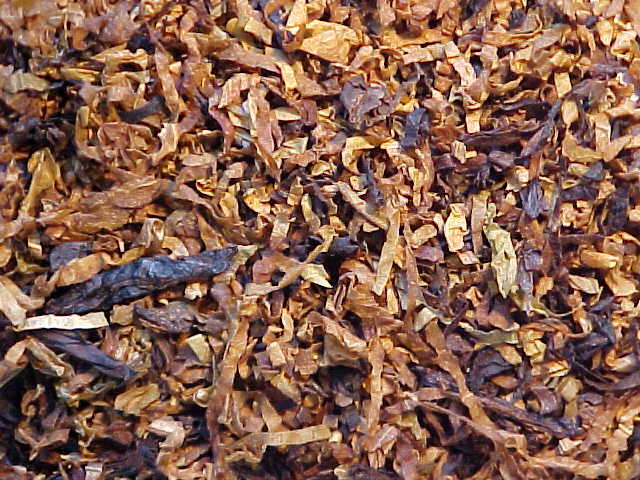 Several Virginias of different cuts and colors, unsweetened Black Cavendish, and Latakia. Whether you're a traditional English mixture veteran or a new comer, you'll appreciate this Mixture. It offers a one-of-a-kind taste and aroma. It's serious in taste and yet so naturally sweet. I personally believe it represents an innovative tobacco blending concept and approach.